A bomb threat on a domestic flight triggered an emergency at an airport in Pakistan's northwest provincial capital of Peshawar on Monday, local media reported. Indonesia's Bali airport remained serving domestic and international flights on Sunday in the aftermath of the eruption of Mount Agung volcano earlier on Sunday and no more ash particles were found around the airport vicinity. 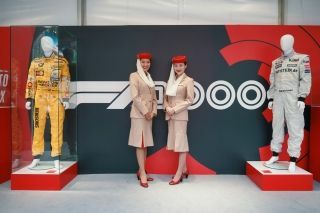 Emirates, a Global Partner of Formula 1®, the pinnacle of motorsport, celebrated the 1000th Grand Prix with F1 fans at the FORMULA 1 HEINEKEN CHINESE GRAND PRIX 2019, bringing a series of iconic brand experiences to the race that took place in Shanghai from 12 April to 14 April. 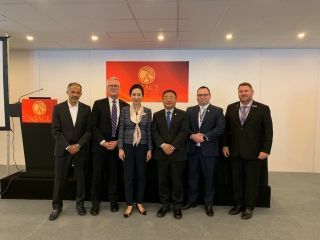 AsBAA, Asia's non-profit representative body for the business and general aviation industry (BA/GA) today held a press conference at ABACE2019 in which it shared regional updates from Greater China and Southeast Asia. 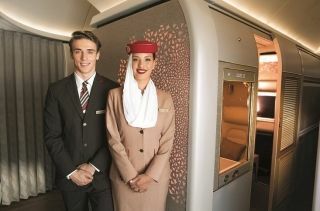 Emirates has been awarded Best First Class in the world at the 2019 TripAdvisor Travelers' Choice® awards for Airlines. The airline also clinched several other awards including Best Regional Business Class Middle East, Best First Class Middle East and nabbed the overall Travelers' Choice Major Airline honour for the Middle East. TripAdvisor has awarded the world's top carriers based on the quantity and quality of reviews and ratings for airlines by TripAdvisor flyers, gathered over a 12-month period. Airports Council International (ACI) World has today published a new resource for airports in addressing the risks and threats posed by staff members exploiting their positions of trust to harm the airport and others. Mitsubishi Motors Corporation (MMC) announced that Mitsubishi Motors Krama Yudha Sales Indonesia (MMKSI), authorized distributor of passenger car and light commercial vehicle with MMC in Indonesia, and Garuda Indonesia announced continued to roll. This time the livery of the Mitsubishi Motors' logo and the "Drive your Ambition" tagline in the A330 aircraft with PK-GPY registration that will be operated in the limited time and was also operated Jakarta - Nagoya Inaugural flight on 23 March, 2019.